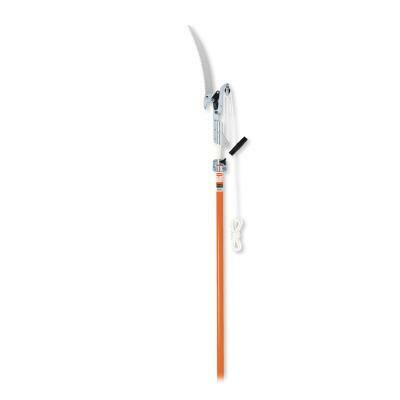 WITH 14" CURVED SAW BLADE & BY-PASS BLADE TWIG TRIMMER. UNIT EXTENDS TO MAXIMUM 12' LENGTH FOR 16' TOTAL REACH. * Please call us with any questions about our tree pruner telescoping rentals in Old Town ME, Milford, Bangor, Pea Cove, Eddington, Bradley, Orono, Bangor ME.